Developed by Esquadrão, Bahia Home Kids Kit for 2018 is the right request for the little ones to show their affection for the Tricolor. The shirt is made of polyester and spandex, features mesh fabrics and offers name and number customization. More info. 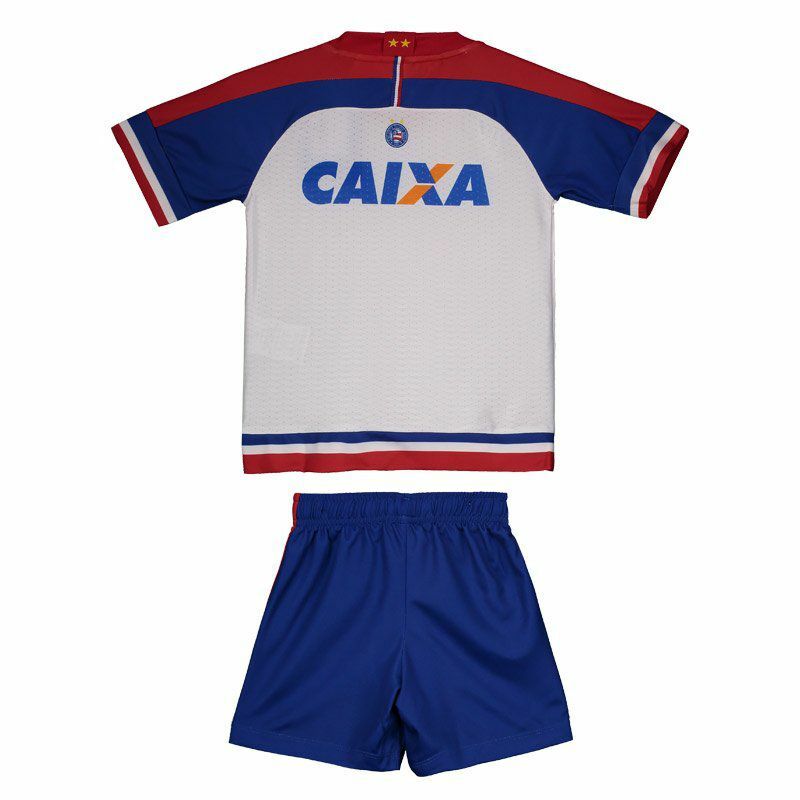 Developed by Esquadrão, Bahia Home Kids Kit for 2018 is the right request for the little ones to show their affection for the Tricolor. The shirt is made of polyester and spandex and features mesh fabrics on the back, offering total body breathability. Its design is predominantly white and features polygonal details in watermark throughout the composition. There are also cutouts in red and blue, seen in the shoulder region, bar and collar, which in turn, is V. The set features a sponsorship logo. The shorts are predominantly blue with red and white trim on the sides. The club's badge is seen next to the bar, as the team logo. Finally, its adjustment in the waist is made through the elastic with drawstring, that allow better regulation.